6) I worked at Rohr Corporation (later Rohr Industries, Rohr Inc., and then Aerostructures Group of Goodrich, now a part of United Technologies) from October 1967 until I retired in August 2002, starting as an Aerodynamicist, then a Senior Aerodynamicist, an Aero/Thermo Group Engineer, Chief of Aerodynamics, Chief of Aero/Thermo and finally as a Senior Staff Engineer. The company makes the pods around jet engines for commercial aircraft - the inlets, cowls, thrust reversers, nozzles, pylons, etc. 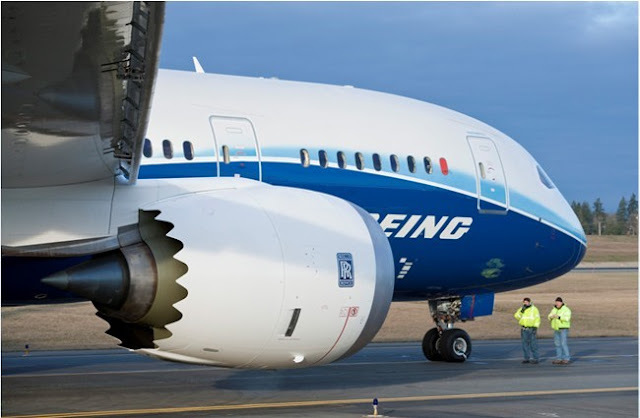 I became an expert in nacelle aerodynamics; turbofan engine performance; thrust reverser design, performance and testing; fluid dynamics; aircraft performance; boundary layers; and FORTRAN programming. I worked on most of the commercial aircraft built by Boeing, McDonnell Douglas and Airbus, and traveled all over the USA and Europe. It was a great 35-year career in a good company. One of my favorite sayings is "There are things that happen in a second that take a lifetime to explain." This is certainly true for me - with my job search in 1967, meeting my wife in 1968, reading Roots in 1987, and starting to blog in 2006. Well, count me in on that group of readers who are interested in your job history. I always knew you had an aerospace background, but it is fun to see how the path unfolded. Thanks for sharing!